Editor's note: Today's entry is shallow, insulting, and sexist. If a man wrote this way about a female legislator, he'd probably get his own show on Spike TV. Excuse me while I move to the right, Rep. Beefcake. My stars and little sputniks, who's the hottie? Why, it's Adam Kinzinger, the new freshman representative from Illinois' Eleventh District. He's 32 years old and a pilot in the U.S. Air Force (curently serving in the Reserves). And he's a Republican! Well, tan my hide and call me a pair of assless chaps! The blogger yields to the gentleman from Illinois. ﻿I already knew there was some fresh meat coming into Congress. Sean Duffy, the former "Real World" housemate from Wisconsin, got a lot of coverage during the midterm election campaigns. (What are they putting in the feed in that part of the country?) I thought he was an aberration, sort of like Fred "Gopher from 'The Love Boat'" Grandy being elected on the strength of being sort of famous and taking a good headshot. How often does a young, good-looking Republican stumble into the House of Representatives? 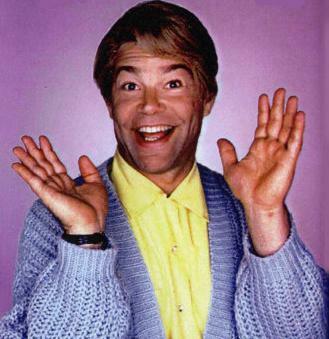 and Al Franken did star in it. But back to Rep. Kinzinger. My faith in the balance of the universe is restored by the fact that, despite his Godiva-chocolate-luscious looks, he is a garden-variety Republican and thus not 100% perfect. (Start your own blog, and then you can make outrageously partisan and sexist comments, too. According to Glenn Beck, this is still America, even though democracy failed miserably in 2008.) 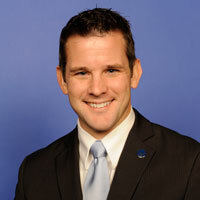 ﻿ Mr. Kinzinger offered a response to President Obama's State of the Union address this week that was reassuringly chock-full of the standard Republicans vs. Democrats hoo-hah, like how unemployment "skyrocketed" from 7.8 percent to 9.4 percent since Mr. Obama took office (without mentioning that it had risen to 7.8 percent from around 4 percent under the watch of the last Republican President). And how the current administration "piled on" $3.3 trillion in debt in two years (whereas it took Mr. Bush three years to accomplish the same increase). But this is not a post about politics. It's about one hot young Republican from Illinois who is putting a fresh face on the dumpy old carcass of the House of Representatives. 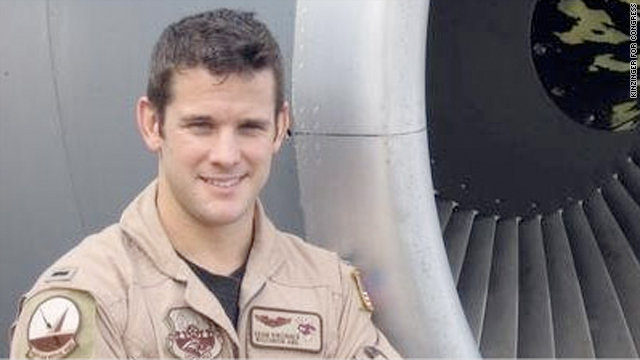 Good luck to you, Rep. Kinzinger. Your service is appreciated, even if our views differ. Hold your head high as you walk up the House aisle. I'm behind you all the way, enjoying the view.